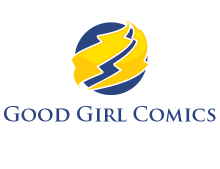 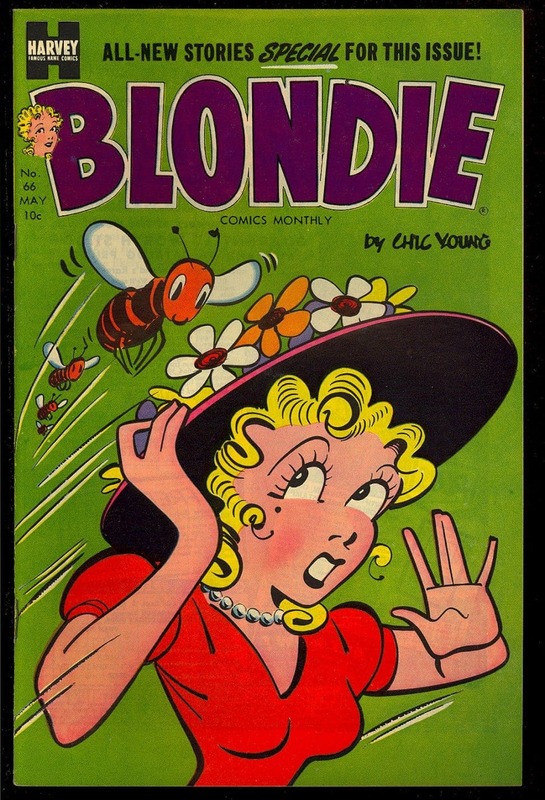 Before there was Blondie the musician there was Blondie Boopadoop, the sultry comic strip character created by Chic Young. 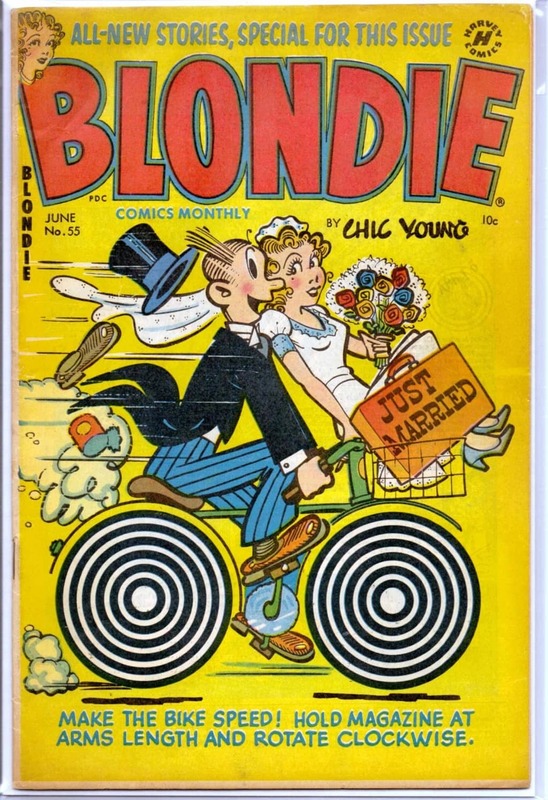 Blondie, a fun loving flapper girl who spent her days in dance halls, quickly assumed the role of sensible head of the Bumstead household after marriage to Dagwood, the disinherited (due to parental disapproval for marrying beneath his class) son of a wealthy industrialist. 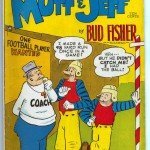 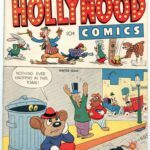 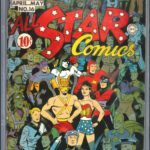 Starring alongside other main characters Mr. Dithers, Herb, Tootsie, Mr. Beasley and the family dog Daisy the comic strip started on September 8, 1930 and is still running today. In addition, twenty-eight Blondie movies were made with Penny Singleton as Blondie and Arthur Lake as Dagwood (1938–1950), a radio program (1939–1950) and numerous comic books. 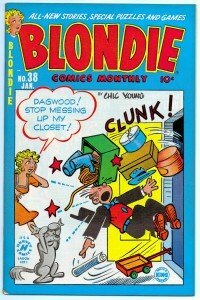 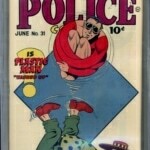 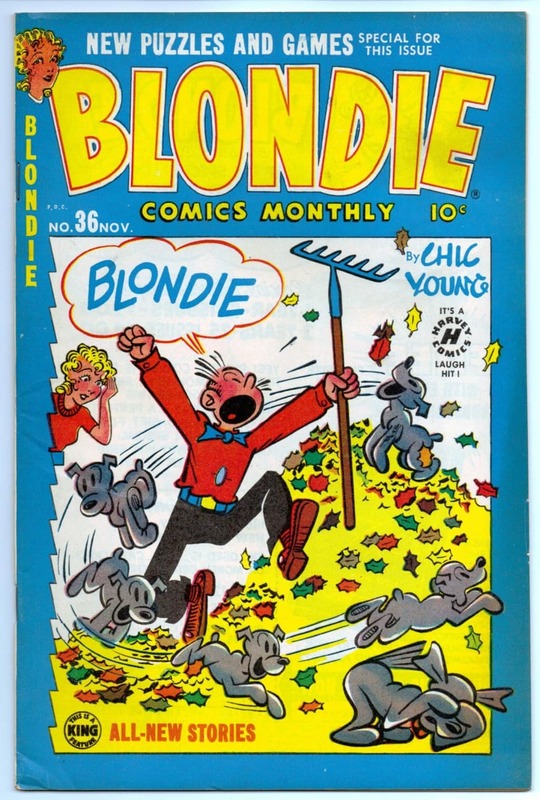 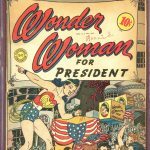 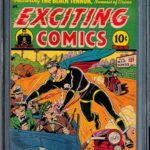 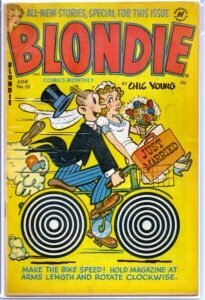 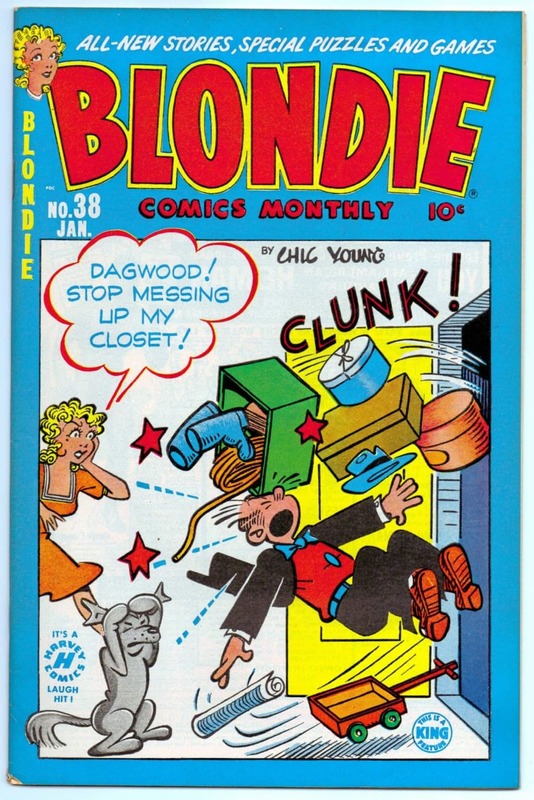 Issue #55 of 148 from Harvey Publications‘ Blondie Comics Monthly (1950–1965) is shown below.